A remodeling project can leave you uniquely vulnerable, so follow these guidelines to help protect your home from job site theft. Job site theft is a rampant and growing problem that costs the construction industry more than $1 billion a year, according to the National Association of Home Builders and the National Equipment Register. But the problem isn’t limited to new houses under construction — a home remodeling job is just as vulnerable. Here are some ways to secure your job site. Every item on your job site is on a thief’s shopping list. Matt Dunston, developer of The Preserve at Walden, an 86-lot subdivision near Colorado Springs, CO, knows from experience. Over several months in 2007, six builders in his subdivision lost roughly $50,000 worth of tools and material—everything from tools and appliances to air conditioners and pallets of cultured stone—before he hired a private investigator to track down the thieves. The stone was a bit of a head-scratcher for Dunston, given its weight. “You have to be a very motivated thief to steal cultured stone,” he says. 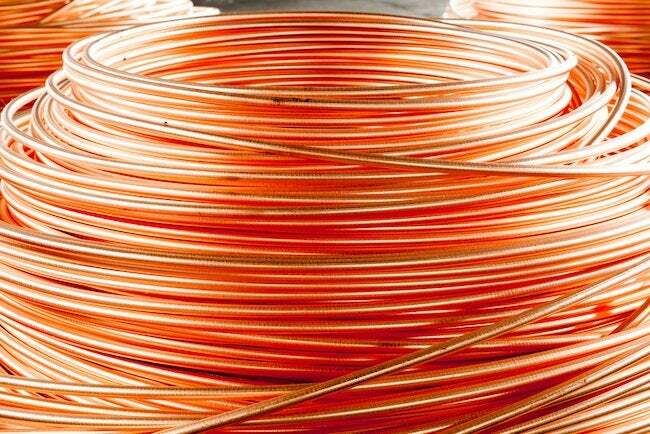 With the rising fees paid by recyclers for copper, the theft of copper wiring and pipe is especially prevalent. It’s such a serious problem that more than 20 states have passed legislation regulating its sale to recycling centers. In Knoxville, TN, the police department has even created a special task force, the Metal Theft Unit. And not surprisingly, thieves aren’t very considerate about the damage they cause. Police reports show they’ll rip a wall apart to get to the copper wiring or pipes behind it, to say nothing of destroying air conditioners, furnaces, or water heaters. In Knoxville, a local television station reported that thieves did $25,000 worth of damage to a condominium project that was under construction to steal about $200 worth of copper. Like most burglaries, job site theft typically is a crime of opportunity. Here are five strategies recommended by law enforcement, security experts, construction professionals, and insurance claims adjusters that you can use to make your job site more secure and less attractive to thieves. 1. Let there be light—and lots of it. Darkness is a thief’s best friend; a well-lit job site makes it much more difficult for a thief to arrive and leave unseen. The goal is to provide adequate and even lighting that eliminates shadows. Flood lights with motion detectors mounted on the eaves of the house, just like most homeowners have on the corners of their homes, are a great first line of defense. “I was on a job site last week — there was more stuff lying around than I’d seen in better hardware stores,” says Greg Wessling, chairman and CEO of Charlotte, NC-based HouseRaising, a third-party manager for custom home builders. “That’s unintelligent.” At the end of each workday, put everything in a secure location, such as a locking toolbox on a truck, a room with a deadbolt, or a storage shed with a padlock. And spend the money on a good lock, Wessling says. 3. Practice just-in-time delivery. The National Association of Home Builders Research Center recommends that you plan out your material deliveries carefully, with the materials delivered in the proper sequence (don’t have the windows delivered before the walls are up, for instance) and only take delivery of what you can install in one day. Additionally, some contractors never take delivery of materials on a Friday — and with good reason. The Tempe, AZ, police department reports that 90 percent of all job site equipment thefts occur between 6 p.m. Friday and 6 a.m. Monday, followed by holidays and weeknights. You don’t want stacks of valuable materials sitting around in boxes or on pallets. If you must take delivery early (to take advantage of a sale, for instance), lock materials up until you’re ready to install them. 4. Set a watch. Enlist the eyes and ears of your neighbors to keep an eye on the job site when you can’t be there. Let them know you’re working on a remodeling project. Give them your phone number. Tell them if they see anything suspicious, like a van that rolls up while all the lights at your house are off, they should call you immediately. When the job is finished, give them a small token of appreciation. 5. Mark and photograph your equipment and record the serial numbers. If you do have a theft, this is going to provide critical information for both a police report and an insurance claim. Etch your tools in two places — one obvious and one hidden — with your driver’s license number; it’s a number that’s tracked in all 50 states. (Don’t use your Social Security number; that would be as valuable to a thief as your property.) The serial number can be a tremendous help to police officers who often have searchable databases of the serial numbers of items taken to pawn shops. The painful truth is that no job site is completely safe from a thief who is determined to take what doesn’t belong to him. But most thieves don’t want to work very hard. If you take the time and effort to make it tougher for them, they’ll look somewhere else.